Below we’ll explain how to load ARCADE in common DAWs. Before doing this, please make sure you’ve downloaded and installed ARCADE as described here. 4. Load the Arcade plug-in by double-clicking it or by dragging it onto a new MIDI track in your Live session. 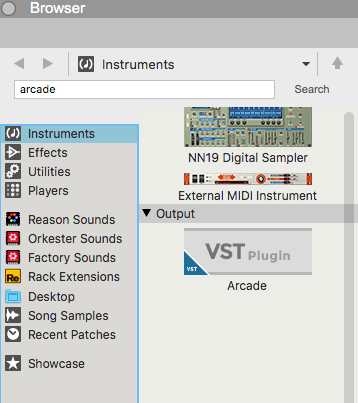 For PC, you can find Arcade in the ‘VST’ section. 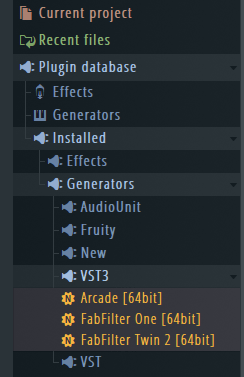 If you’re on a Mac, you can find the .au version of Arcade in the Audio Units > Output section. This is all you’ll need in order to get set up with Arcade in Live! If you’re unable to find Arcade in Live after following the steps above, it may be the case that you need to change some settings. 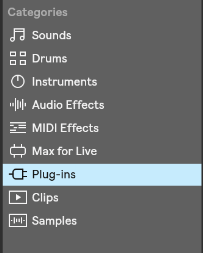 Open up the Options > Preferences > File Folder window, and make sure “Use Audio Units” (Mac only) and “Use VST Plugin-In System Folders” (Mac and PC) are turned on. 3. In the Preferences window, click on “File Folder” then click “Rescan”. Once the scan is complete, please follow the steps for loading the plug-in and you should be all set! 2. 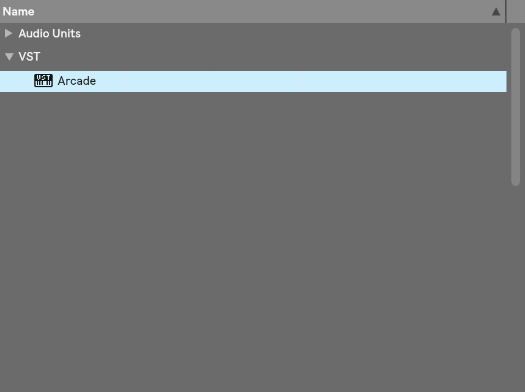 In the browser on the right-hand side, locate “ARCADE” in your Devices list. 3. Double-click ARCADE to open it. Double-clicking ARCADE will automatically create a track for the device if not currently selected. 3. In the Instruments list, navigate down to ‘Synth’, locate ‘Arcade’ and click ‘Add Track’. 2. Go to ‘Track’ from the GarageBand menu and select ‘New Track’ or click (+) on the left-hand side. 1. Open up your Maschine project. 2. In the left-hand side Sound section, click (+) under 'Sound'. 3. Scroll down past the factory Instruments to the ‘Output’ section and select Arcade (AU or VST). 4. Double-click on the icon labeled ‘Arcade’ or click the arrow right next to 'Sound'.